Coming out is often a complex and sometimes even difficult process. We come out to ourselves. We come out to our parents, our friends, our neighbors, our parents’ friends, and the friends of our neighbors. We come out to our immediate and extended family. We come out to our classmates, our co-workers and our healthcare providers. And coming out is not simply a one-time event. It is something done repeatedly throughout our lives. We must weigh the benefits and risks of coming out to every new friend, family member, employer, co-worker and so on. The stakes can be high, with the risks ranging from experiencing outright rejection to physical violence. Unlike people with gay or straight identities, bisexual+ peoplemust decide when and whether to come out to others and risk a negative or biphobic response. 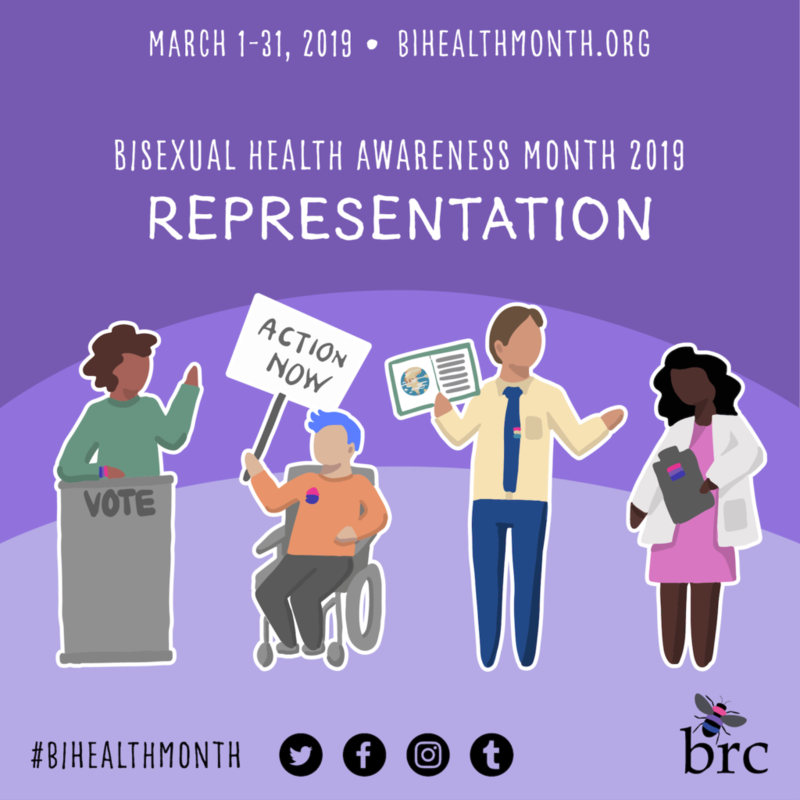 Given the biphobia and bi+ erasure bisexuals experience both within and outside the LGBTQ+ community, and that bisexuals have much lower coming out rates than lesbian and gay folks, these are very real concerns. Sometimes we must even come out more than once to the same person, to clarify what we have said, or to overcome their denial. This process may be relatively quick to resolve, or it may take weeks or months for them to truly understand and accept us for who we truly are. We may also need to come out more than once if we experience a shift in our own identity. Someone formerly identified as gay may decide that the word queer is a better fit. Or vice versa. Or you might have fallen in love with one particular man when you had previously only fallen in love with women. Or vice versa. For some, sexuality is fluid and ever-changing over time. Finally, not only bisexual+ people must come out. Once we are out to friends, partners, co-workers, and family, they too must deal with how and to whom they will share information about us. And how they will incorporate our sexuality into their own lives and belief systems. So why come out? Some of us come out because we feel the alternative is misleading and isolating. 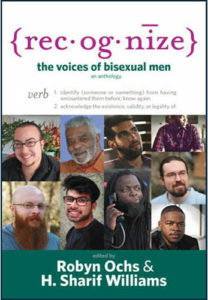 This is particularly true for bisexuals, as we are so rarely seen by others as bisexual+. Bisexuals cannot come out as bi+ simply by mentioning a partner, or by being seen at a “community” event, and many feel it’s important to validate and be visible about our identity in a more open way. We may also come out because we want to become more connected to the LGBTQ+ community, and sometimes even the bi+ community in particular, so that we can experience a sense of belonging among those who are similar to us. At a more intimate level, the cost of silence can be great. Failure to communicate, to share important information about ourselves, often creates a barrier between us and our loved ones. As mentioned above, being closeted can have a major impact on our mental and physical health – and bisexuals have in general higher rates of depression, anxiety, substance use, and suicidality than their gay and straight peers. Ideally, we want those close to us to know us not as their illusion of who we are, but as we truly are. But unfortunately, it’s not so simple. While there are many good reasons to come out, you may also have reasons to choose not to. Think things through before making any decision. Take advantages of resources that are available. There are many coming out resources and support services for LGBTQ+ youth both online and in one’s local community. Do I need to come out? While many people choose to come out and feel most fulfilled that way, others choose different paths at different times of their lives. Many also choose to come out to some people in some contexts and not to others. Some are only out to the people they are intimate with, regardless of their gender; others include close friends or selected family members. In general, it is easier to bring this up at early stages of dating or relationships, but sometimes we are less aware of our attractions or we feel unsafe at the time the relationship starts, and it’s not the way it happens. Many people feel guilty about already being in a relationship (whether with someone(s) of the same or different gender) where the partner(s) does not know about their attractions and experiences. These aren’t always easy situations, and people work it out in different ways. It is important to ask for help when feeling trapped or unhappy: most communities have LGBTQ-competent counseling services that are very experienced in assisting with these situations. There are also national and regional phone lines that can provide advice and support. You do not need to come out as bisexual+ to everyone at all times to be happy and fulfilled, and you do not need to be out to reach out to relevant services for support. Different people choose different paths, and they should be respected and validated. After all, the process and experience of coming out (or not coming out) is as unique as the individual going through it!